Our February Sale is now live on-line and in our shops. Free nationwide delivery for all orders over £100. 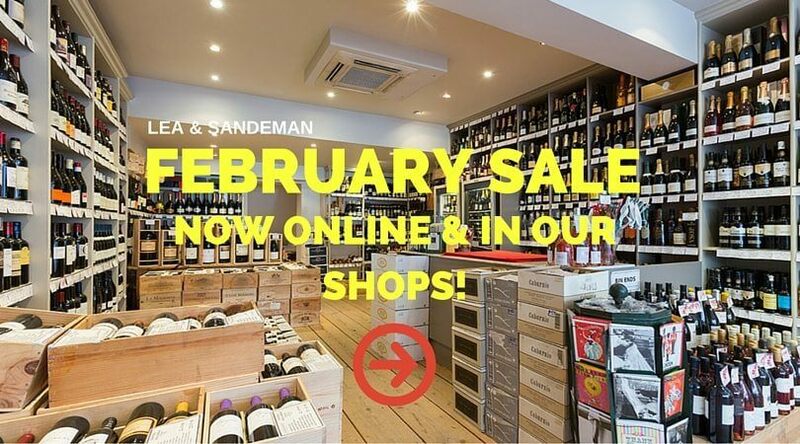 Please note that wines in the February sale can still be ordered with non-sale wines, but won't contribute towards the usual case price discount. Order online or visit your local Lea & Sandeman shop and browse the selection. It might seem a funny time of year to have a SALE, but we have to think of something to entice you back to the website or to your local L&S shop after the long holidays. The 2013 Annual Bin End Sale – Open! As per tradition (and after a false start due to a technical hitch!) we are pleased to announce our annual bin end sale is now open. There's plenty of great wines in there which is why we hesitate to use the phrase 'Bin End' - so feel free to go ahead and fill your boots, shoes and shopping carts.